There is a list called "Projects" where the default title filed made hidden and now the problem is: User wants to have the link to View Item on "Project Name" Field. By default "Title" field of the list has link to item and edit menu options in it. If you want to change link to item or edit menu options on any other column of the list - There is no option! 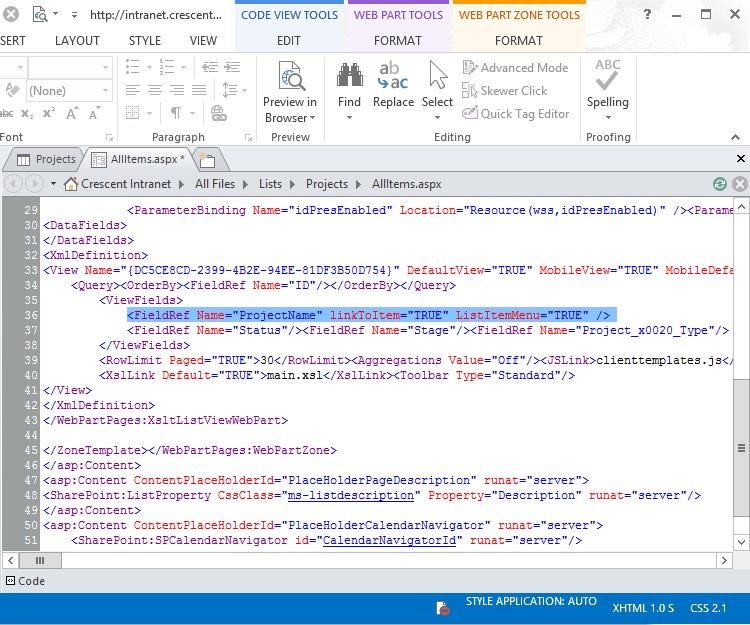 Solution: How to change link to item field in SharePoint? 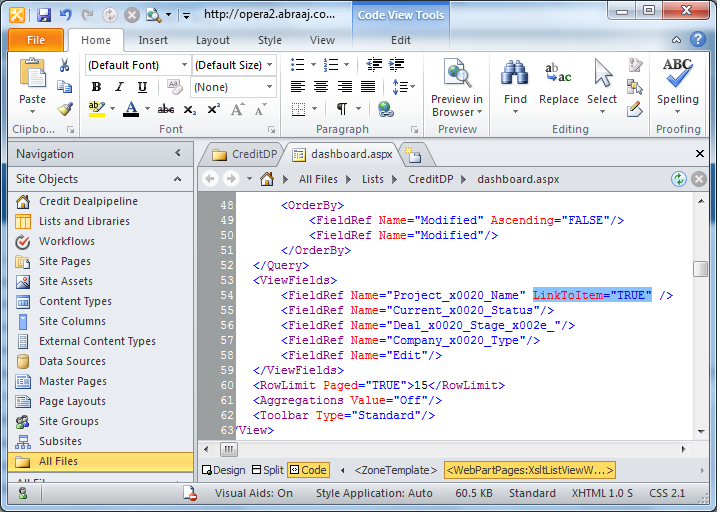 Open your List view page in SharePoint Designer using "Edit File in Advanced Mode"
Add: LinkToItem="TRUE" to it. If you want to have Edit Menu, then add: ListItemMenu="TRUE" or you can add both.E.g. Save and close the page. Now, if you go back to your view, the "Project Name" field will have the link to DispForm.aspx page of the item! Here is the Result in action: link to item with edit menu in custom column! Your post is great, but I have one question here, I have used the exact same properties over the field I want to have a link and a menu but I'm experiencing an interesting problem at the list there. After a while, not sure the exact reason the property set over that field linkToItem="TRUE" is disappearing, ListItemMenu="TRUE" is there, only linkToItem missing. Very interesting bug or case, not sure what's happening and triggering such a thing. 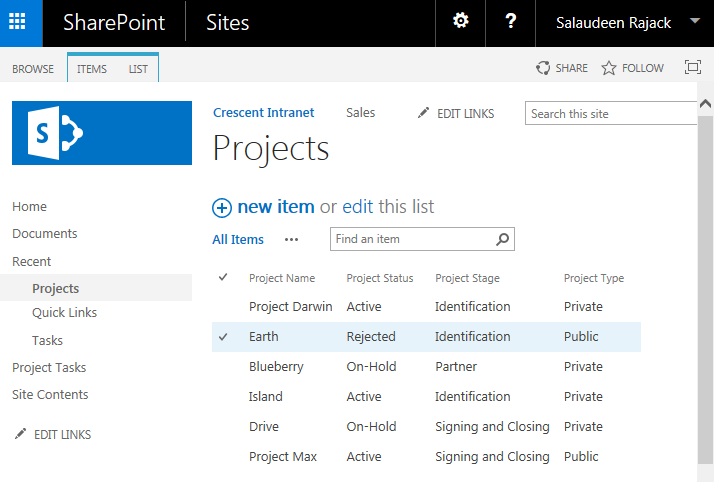 Does this work in SharePoint Online also? I don't see my column names the way you do. It will work for SharePoint online also but once you do any changes in the view in UI or simply opening and saving the view in browser will make the linkToItem="TRUE" to disappear. This the default behavior in SharePoint online. You can overcome this by using JSLinks. I can overcome the disappearing by using JSLinks ... how? Do I paste the line linkToItem="TRUE" into JSLInks? Thanks alot, it worked like charm. There is multiple sites that points that linkToItem="TRUE" alone does the trick, but in our case it required also ListItemMenu="TRUE"
When I use both list and link to items it shows the actual link and not the description I gave it?? 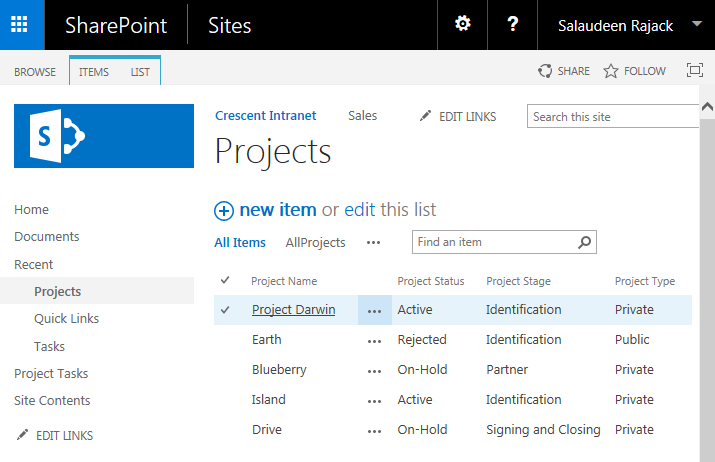 What is needed for SharePoint 2013? Neither TRUE statements work, just gives the full http link instead of the description name?